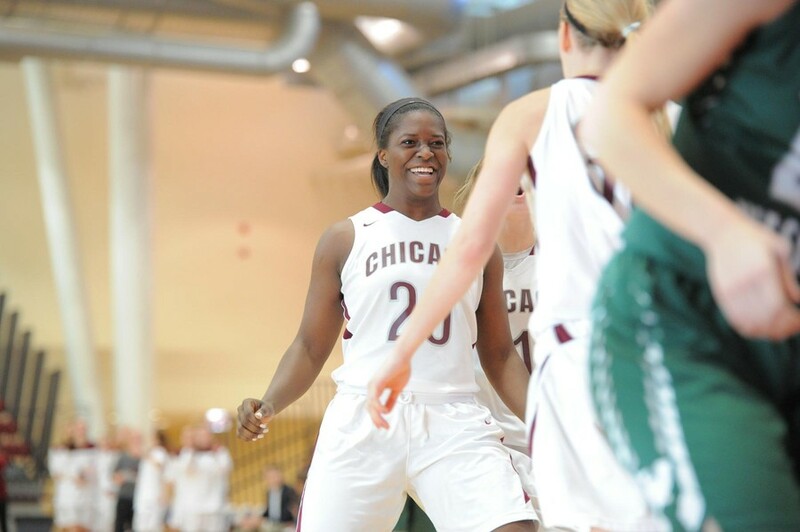 The Maroons returned home over the weekend to take on a pair of UAA opponents. On Friday, the team faced a nationally ranked squad from New York University. Despite playing with high energy, Chicago fell victim to the Violets’ accurate shooting and suffered a decisive loss. Encouragingly, the Maroons bounced back on Sunday with a dominant 73–59 victory over Brandeis. With these results, Chicago moves to 10–6 overall and 2–3 in conference action. In the first leg of the doubleheader, both teams got off to a fast start. The Maroons put up 23 points in the first quarter, but NYU answered with 22. Coming off the bench, second-year guard Madison Dunbar provided a spark for the home team, scoring seven points on her own in the opening period. Unfortunately, Chicago fell into foul trouble early as well. Six players, including three starters, committed at least two fouls before halftime. With key Maroons on the bench, NYU took advantage and outscored the hosts 24–7 in the second quarter. Facing a large deficit at the half, the Maroons were not deterred. The squad fought hard and stayed on pace with the Violets throughout the remainder of the contest. Unfortunately, they were never able to gain any ground on their opponents, who seemingly couldn’t miss from long range. NYU shot a remarkable 64 percent from three-point range. On top of this, the Violets converted 20 of 23 free throws to keep the game out of reach. At the final whistle, NYU prevailed, earning a 71–55 victory. For the Maroons, Dunbar and third-year forward Britta Nordstrom finished with 10 points each. As a whole, the squad grabbed 31 rebounds, the same number as their opponents. But Chicago struggled to score and converted just 39 percent from the field, which eventually led to their demise. Against Brandeis, the Maroons came out far more aggressive and looked strong throughout. Thanks to continuous ball movement and high-percentage shooting, the team pulled away, securing a decisive victory in a game they led for nearly every second. Nordstrom had a career day, posting a season-high 24 points to go along with five rebounds. Anderson and second-year guard Elizabeth Nye also provided high-scoring performances, banking 16 and 17 points, respectively. This weekend, the Maroons will remain in the Windy City to take on another pair of UAA foes. Chicago will host the Emory University Eagles on Friday, January 29. Then, the squad will take on No. 7 Rochester on Sunday. Given that the UAA is so competitive and evenly matched this season, this weekend gives the Maroons a great chance to move into the top ranks of the conference. Last year, Chicago beat both teams in both meetings, so the South Siders are hoping to continue this success. To start the weekend, the Maroons tip off against the Eagles at 6 p.m. Friday at Ratner Athletics Center.